This brooch was made after the Countryfile Spring Special shown on BBC1 on 20 May 2018. 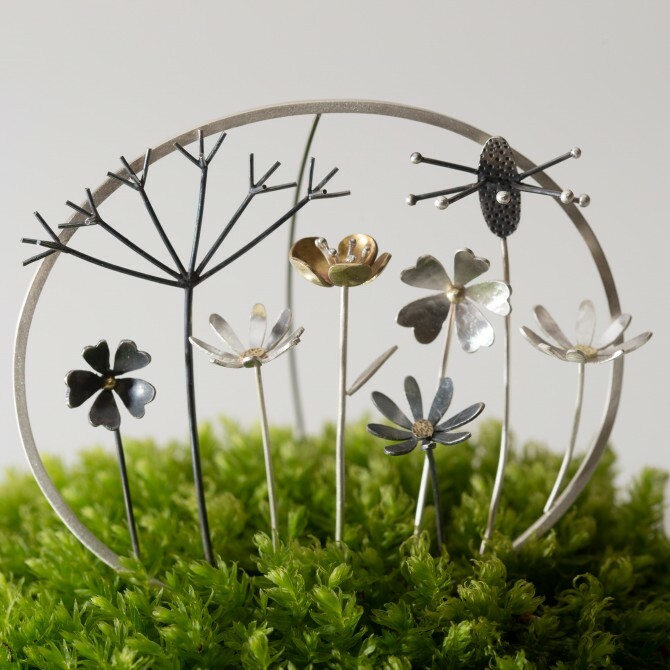 It is a truly stunning silver oval brooch is inspired by wildflowers that are safe to pick. The brooch frame is made from square silver wire and is 75mm wide and 65mm in height. 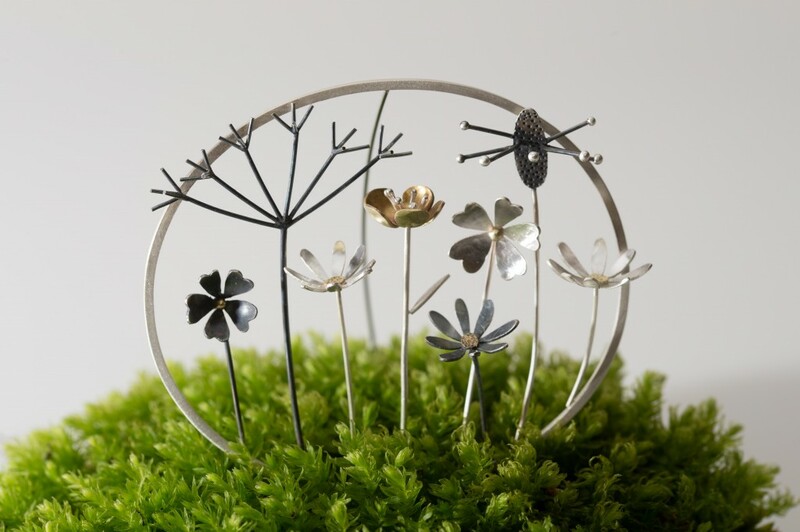 It features eight wildflowers including cow parsley, primroses, a brass buttercup, daisies and a ribwort plantain grass. The brooch pin is handmade from fine stainless steel wire with a silver revolver clasp. My large brooches are statement pieces of wearable nature. Each also has a life when not worn and can be placed on a surface as a framed piece of art. Another true collector's piece.